The world of outdoor living includes not only a wide variety of structures and accessory options, but includes a wide variety of building material options as well. Archadeck has long been recognized as America’s #1 deck builder with unparalleled expertise in the design and construction of porches, pergolas, gazebos and more. Add in our network of preferred vendors, industry knowledge and powerful resources, your world of outdoor living has endless possibilities. 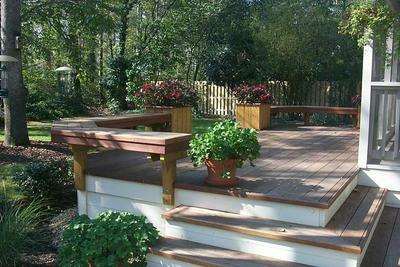 From composite to vinyl and lumber, to exotic hardwood, including Ipe, Archadeck can help. So today, let’s look at Ipe (pronounced eepay). Ipe, also known as Brazilian Walnut or Ironwood, is a popular exotic hardwood with a rich, dark, reddish-brown appearance and amber hues. The original color can be maintained with simple yearly sealing; however, Ipe will turn to an attractive, silvery gray-tone if left to weather. In addition to its beauty, elegance and finished ‘look’, Ipe is extremely durable and dense when compared to other lumber. 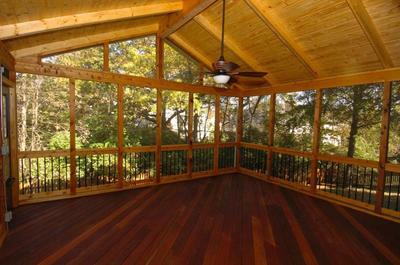 Ipe is naturally tough, resistant to insect damage or rot and has a very long lifespan. Ipe has an interlocking grain, is fine in texture, slip resistant… Ipe holds up to traffic and can outlast other materials. Ipe decking complements virtually any home and surrounding, bringing the look and feel of natural wood to outdoor living. If you want one of the best exotic hardwoods, choose the Ipe option. To see pictures of wood, composite, and vinyl decks, porches, gazebos, and pergolas (and more) throughout the Greater St. Louis area including St. Louis County, West County, St. Charles, St. Charles County and parts of Illinois, visit our local website. If you live outside of the Greater St. Louis Metropolitan area, or to find an Archadeck location nearest you, visit archadeck.com. 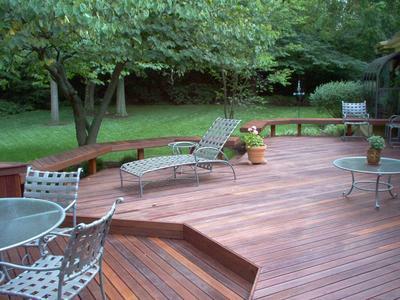 « Deck Builder in St. Louis and St. Charles: There’s a Deck for That!